Just as a vineyard expresses the many details of its respective setting, the Atticus Hotel reflects the rich history of McMinnville, the Willamette Valley’s most vibrant and iconic community. While new on the Oregon scene, our local roots at the Atticus Hotel run deep, allowing us to create an experience for our guests reflective of the creative, earnest and independent spirit that defines our community. As natural storytellers, we look forward to sharing our unique insider’s perspective with you, and all of the knowledge that comes with being of and for our dynamic Willamette Valley community. An independently owned and operated hotel, at the Atticus Hotel we specialize in lasting luxury — the kind that digs beneath the surface of thread count and white bathrobes into the timeless terrain of carefully curated local furniture, crafts, art, and bites. The Atticus Hotel is luxury on Willamette Valley terms, drenched in comfort without sacrificing personality. 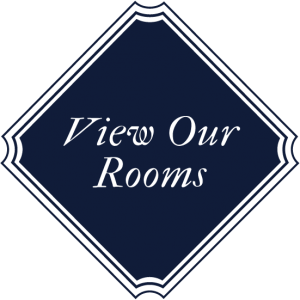 It’s why no two of our 36 rooms are exactly alike. It’s why we greet you with locally produced Bubbly when you arrive and treat you to Valley-crafted hazelnuts, coffee, bikes, and decor throughout. It’s why we encourage you to explore the many nuances of our building, staff, restaurant, and resources as much as the town and greater wine region we inhabit. When you set foot in our hotel, you’re instantly a local and forever a part of the McMinnville lifestyle. The thrill of travel and truly embracing a place and its people helped inspire the Atticus Hotel. Instead of passively witnessing our vibrant McMinnville and Willamette Valley location, we set you up to live it from the inside out. We believe the soul of a place is best discovered when you’re staying in its heart.